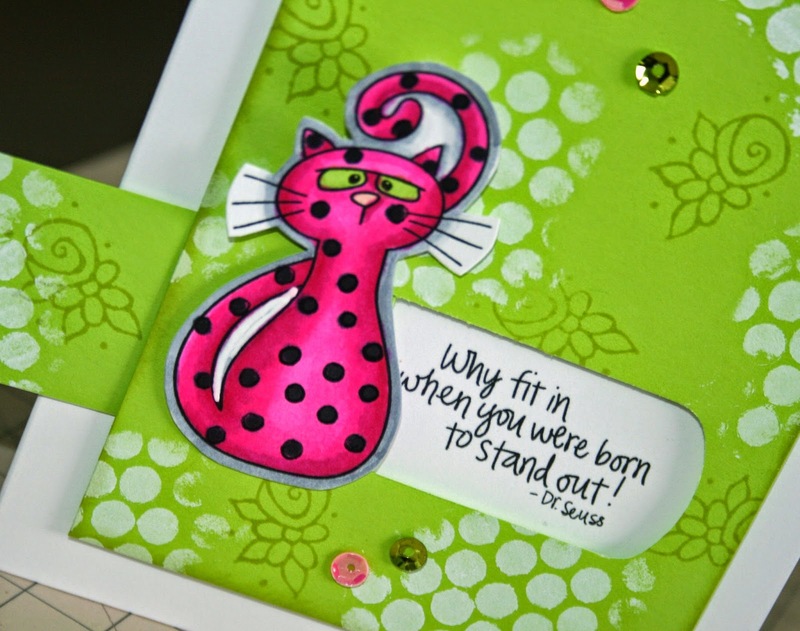 Hi Stampers, My inspiration for today's card comes from a Hero Arts video here. 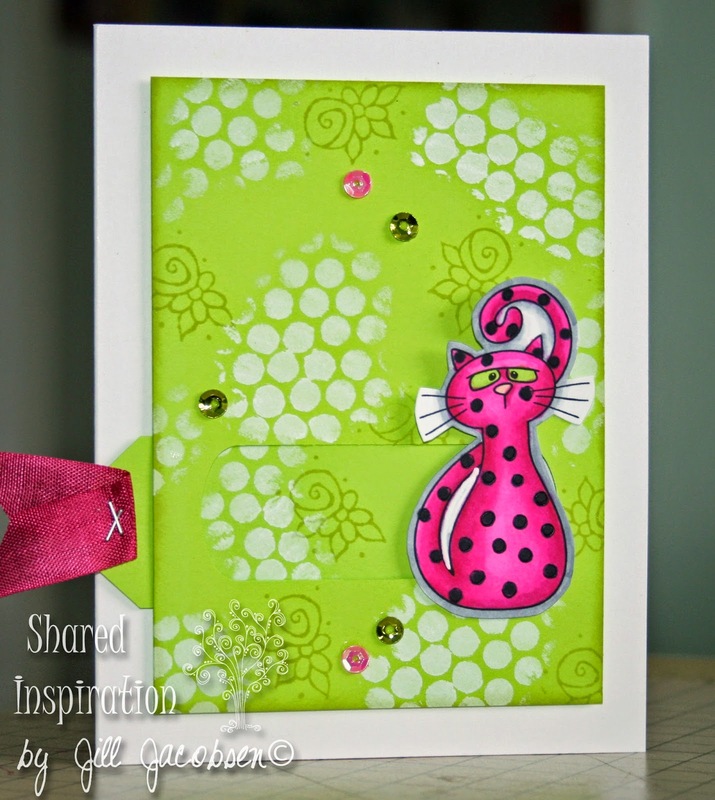 I have been wanting to make a card with Beccy Muirs new Cattitude Digi Stamps and thought this fun slider fit the bill. 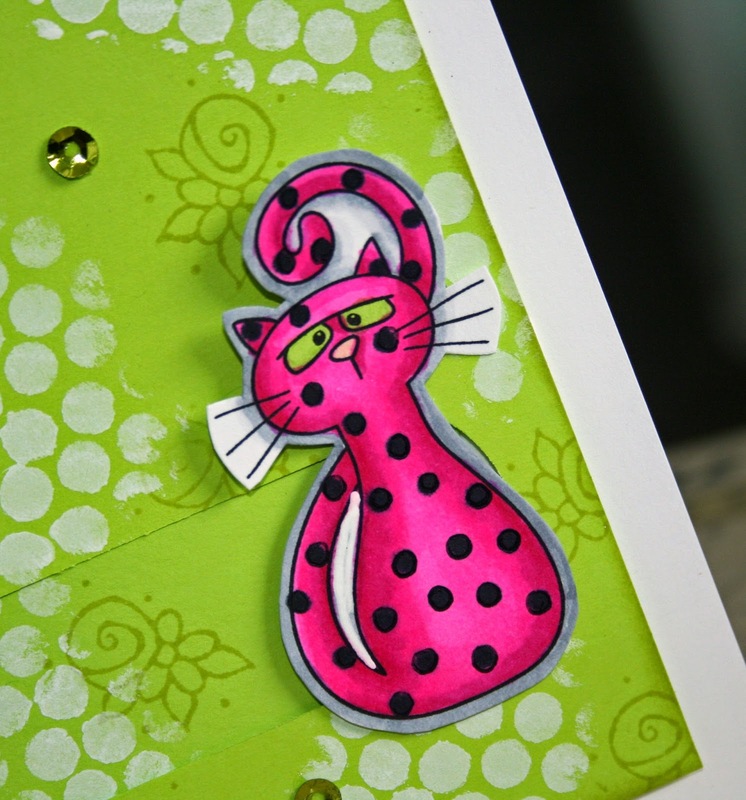 I think the cats are so fun and whimsical that I had fun coloring him non-traditionally and the saying is wonderful! I am working on my first Online Copics Basic Blending Class and have been coloring a lot. I hope to have the class out next week. 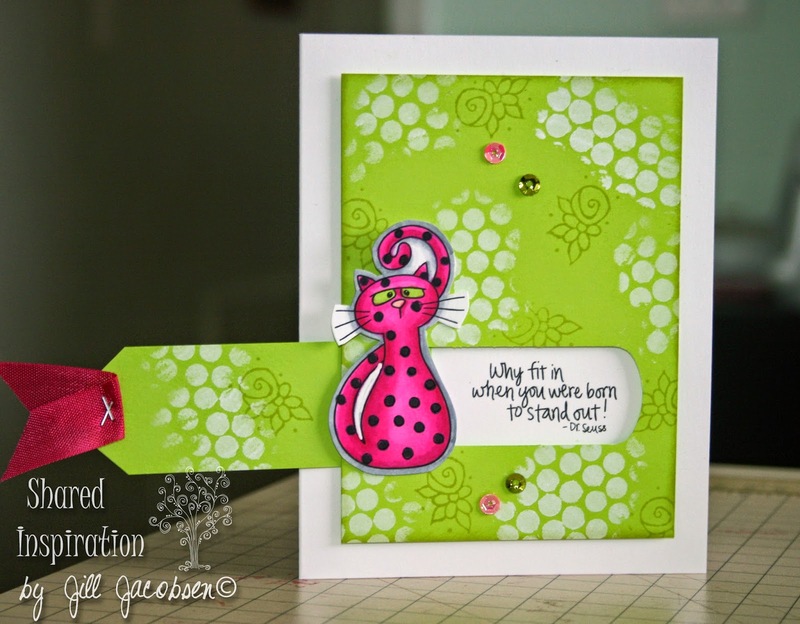 The slider was really easy to use with the Stampin' Up! Tag Punch instead of the circle punch. I used some white acrylic paint with punchenella and then a stamp from Sparkle N Sprinkle Garden Goddess from Michelle Perkette. Hope you make time today to do something creative!